File S/P-9, obtained from Captain G.T. Bodiford, Jr., Panama City, FL. - Vessel name Arizona, hailing port Galveston, TX, Tuna longliner designed by Master Marine, LOA 79' x LWL 70' x Beam 24' x Draft 8' 9" x 87 Tons - Sea anchor: 24-ft. 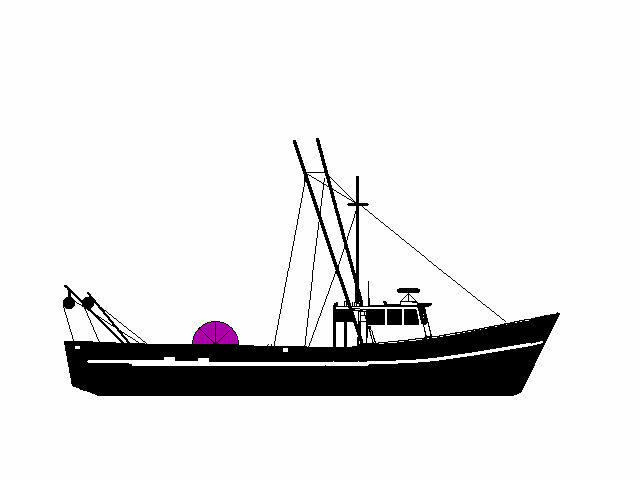 Diameter Para-Tech on 300' x 7/8" nylon three strand rode, with 5/8" galvanized swivel - Full trip line - Deployed in storm in deep water about 400 miles SSE of New Orleans with winds of 50 knots and seas of 20 ft. - Vessel's bow yawed 10° - Drift was estimated to be 18 n.m. during 40 hours at sea anchor. Two generations of Bodifords have been fishing the Gulf of Mexico for tuna, using parachutes for station keeping and sea layovers. On the occasion of this file the F/V Arizona was approximately 400 nautical miles south-south-east of New Orleans when she was overtaken by a Tropical Depression. She was too far offshore to duck back into port so Captain Bodiford decided ride it out on the 24-ft. diameter Para-Tech sea anchor. At the height of the storm the wind was sustained at 55 knots out of the NE, occasionally gusting to 80. Seas were about 17-20 feet. Arizona is a large, heavy boat, weighing in at almost 90 tons. She was hove to the para-anchor for a total of 40 hours without any problems. She drifted about 18 miles in that time.